Recent studies suggest that Levaquin and other fluoroquinolone antibiotics may be associated with an increased risk of aortic aneurysm. It appears that fluoroquinolone manufacturers have not warned patients or doctors about this potentially deadly complication. Bernstein Liebhard LLP is offering free legal reviews to patients who experienced an aortic aneurysm within a year of taking Levaquin or another fluoroquinolone antibiotic. To learn more about filing a Levaquin lawsuit or other fluoroquinolone aortic aneurysm case, please contact Bernstein Liebhard LLP at (888) 994-5118. Fluoroquinolone Antibiotics: What’s the Problem? Fluoroquinolones have been associated with collagen degradation. This occurrence can cause other complications, including tendon ruptures, which are known to occur in patient taking the antibiotics. Collagen degradation may also damage the lining of the aorta, the largest blood vessel in the body. Several recent studies suggest that patients treated with a fluoroquinolone antibiotic may be at risk for aortic aneurysm, a dangerous complication that can result in fatal internal bleeding. November 2015: A paper authored by Canadian researchers in the British Medical Journal reported that patients using fluoroquinolone antibiotics might face a three-fold increase risk of aortic aneurysm. Of the 1.7 million patients involved in the study, a third had received a fluoroquinolone. “Reducing unnecessary fluoroquinolone treatments or prolonged treatment courses might have possibly prevented more than 200 aortic aneurysms in this population,” study authors said. An aortic aneurysm is a bulge or type of ballooning that occurs when the aortic wall weakens. If the weakened area bursts, a victim may experience fatal internal bleeding. Unfortunately, an aortic aneurysm can grow slowly, with very few symptoms. However, some symptoms may present if the aneurysm expands and puts pressure on surrounding organs. Pain in the chest, abdomen, lower back, or flank that could spread to the groin, buttocks, or leg. The pain may last for hours or days, and it may be deep, aching, gnawing, and/or throbbing. If an abdominal aortic aneurysm results in a blood clot that breaks free and travels to the leg, victims may experience the sensation of a “cold foot,” or a painful toe that is black and blue. An inflammatory aortic aneurysm may cause fever or weight loss. 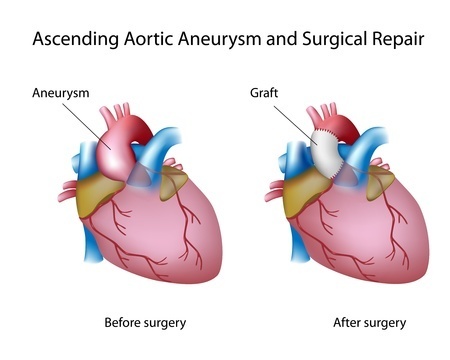 A ruptured aortic aneurysm requires immediate medical attention to prevent the death of the patient. Our Attorneys are Ready to Assist Victims of Levaquin Fluoroquinolone Side Effects. The attorneys at Bernstein Liebhard LLP are ready to provide legal assistance to anyone who suffered an aortic aneurysm that could be associated with Levaquin or another fluoroquinolone antibiotic. To contact our legal team today, please call (888) 994-5118.